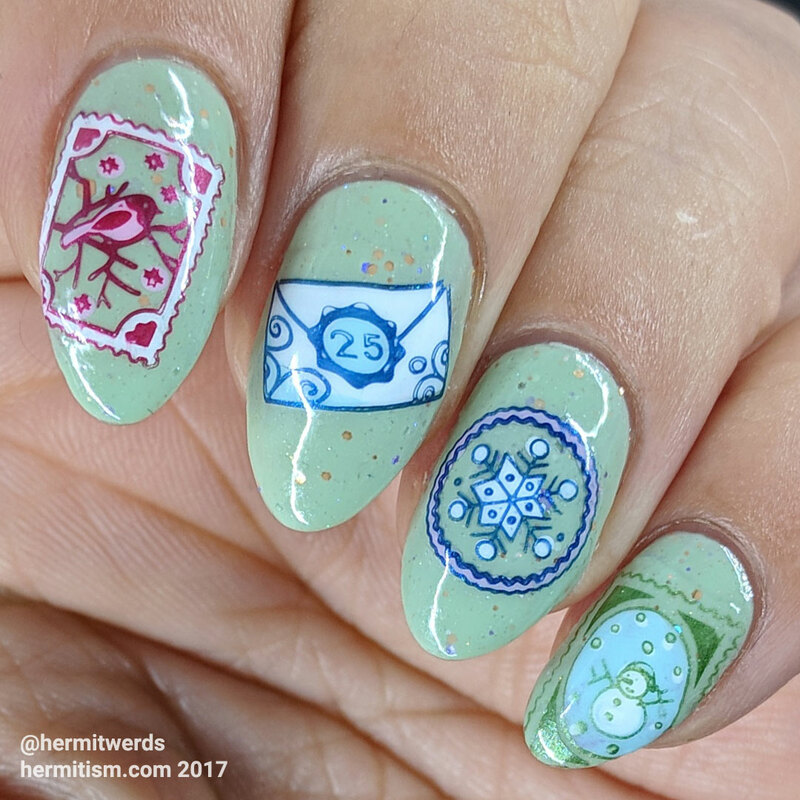 I looked at Harunouta’s L031 Christmas-themed stamping plate last year and gave it a pass, but this year I decided I wanted it after all because the stamp images are so darn cute. Naturally, that meant I had to use them asap even though they are not Christmas-specific and I still had time to use them after December. Well, it does fit the prompt better (December Holiday). Funny thing: I don’t think I have a stamping plate with a single Hanukkah- or Kwanzaa-related image. (Is there such thing as Kwanzaa-related images? I don’t know.) It seems a strange oversight. I am also proud to say I actually painted my thumb. And those who only follow me on Instagram will never get to see it even in part because I’m only posting the first photo of this. Yes, I am cruel. Or lazy. Or both! Now before we go on to the inLinkz, I’d like to give you a chance to admire this crelly. 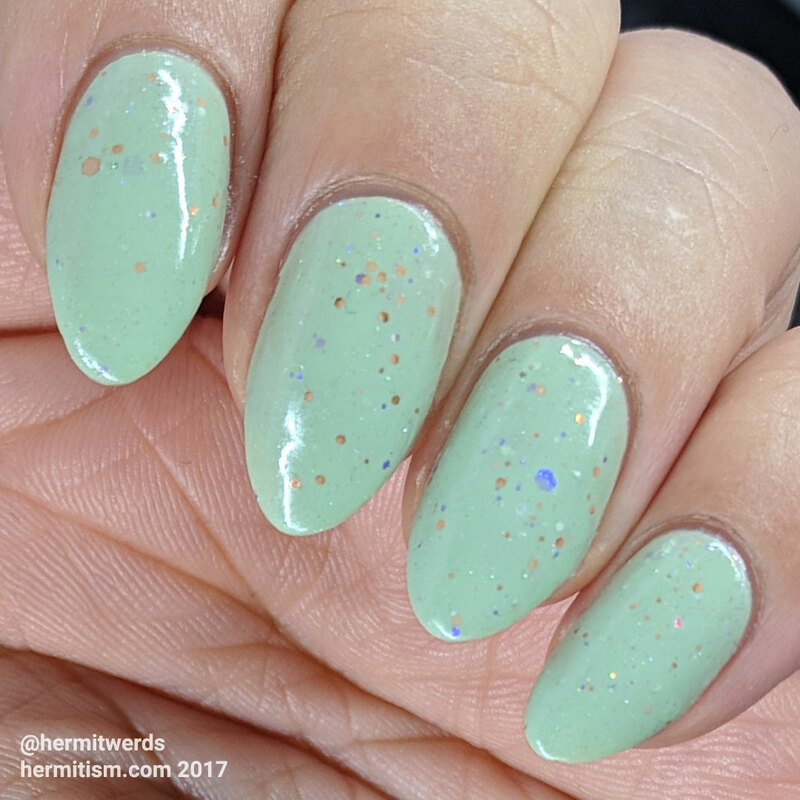 It’s actually my least favorite from my KBShimmer order, but I think that’s partially because I didn’t shake it enough or leave it upside down so I didn’t get as much glitter as I wanted. Or maybe it’s too subtle and that wasn’t my mood. It’s still gorgeous (being the least favorite of such lovely polishes isn’t saying much) and I have one left to try! And here are more lovely December holiday manicures from the group. A thought just occurred to me…how many people throw out cards that play music and such without even thinking about removing the battery for proper disposal first? Oh – these are just perfect! I’m partial to the postal theme, I know, but I’m really digging them! I might have to see if this plate is still available, I love that birdie on your index so much. And, taking pics of your cards/messages is a great idea — wish I had thought of it when purging a bunch recently. 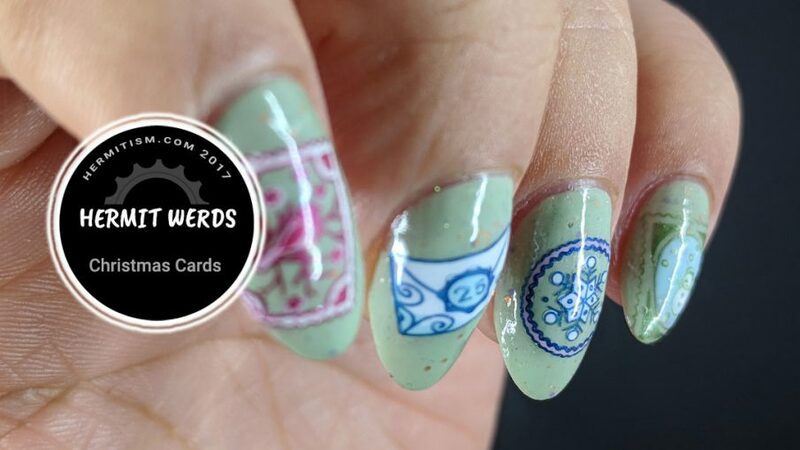 It’s a pretty widely available stamping plate, so you shouldn’t have any trouble. 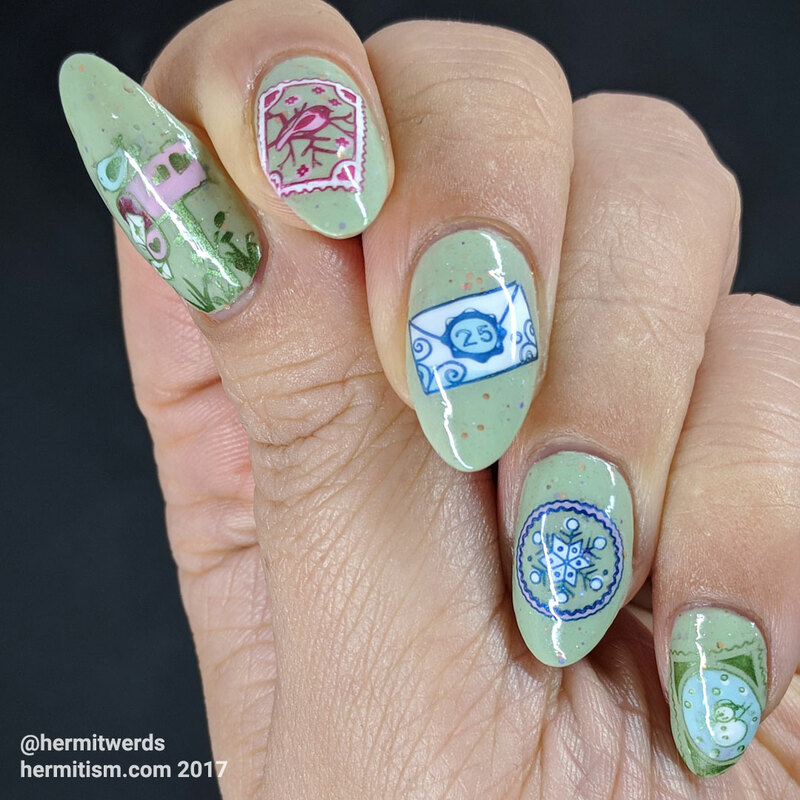 I wish more stamp stamping plates were out there!